For new readers, Conversations with John Mauldin is my one subscription service. While this letter will always be free, we have created a way for you to “listen in” on my conversations with some of my friends, many of whom you will recognise and some whom you will want to know after you hear our conversations. Basically, I will call one or two friends each month and, just as we do at dinner or at meetings, we will talk about the issues of the day, with back and forth, give and take, and friendly debate. I think you will find it very enlightening and thought-provoking and a real contribution to your education as an investor. Let’s look at two charts sent to me by Dr. Lacy Hunt of Hoisington Investment Management in Austin (and one of my favourite economists). 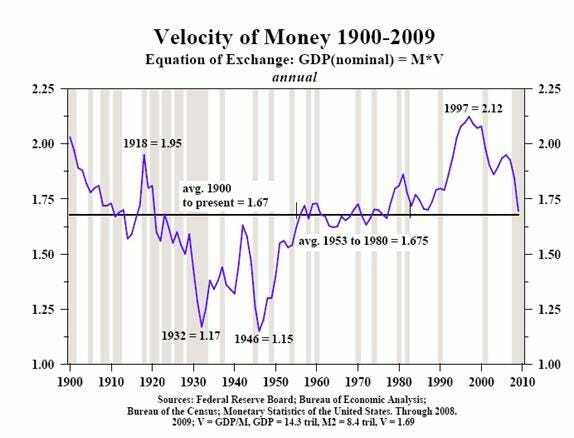 First, let’s look at the velocity of money for the last 108 years. Now, let’s look at the same chart since 1959 but with shaded grey areas that show us the times the economy was in recession. 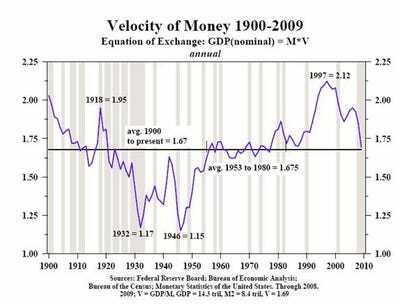 Note that (with one exception in the 1970s) velocity drops during a recession. What is the Fed response? An offsetting increase in the money supply to try and overcome the effects of the business cycle and the recession. P=MV. 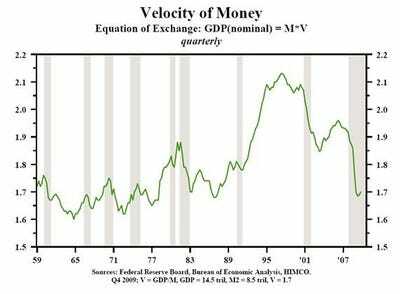 If velocity falls then money supply must rise for nominal GDP to grow. 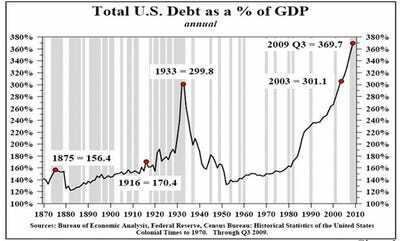 The Fed attempts to jump-start the economy back into growth by increasing the money supply. 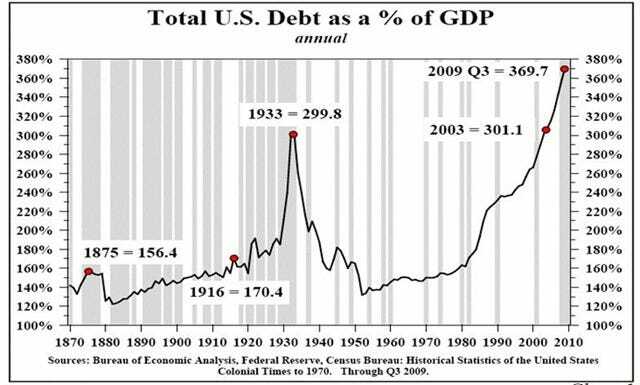 In this chart from Hoisington, the recessions are in grey. 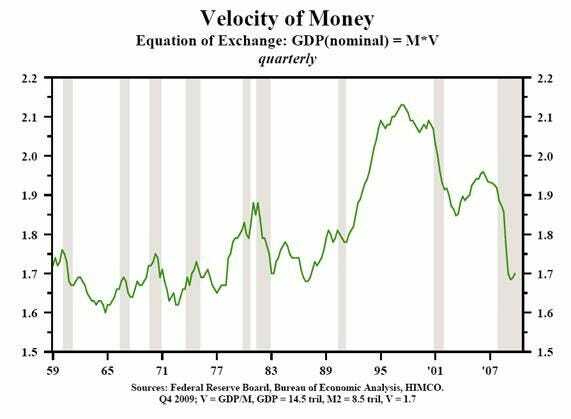 If you can’t read the print at the bottom of the chart, he assumes that GDP is $14.5 trillion, M2 is $8.2 trillion, and therefore velocity is 1.7, down from almost 1.97 just a few years ago. If velocity is to revert to or below the mean, it could easily drop 10% from here. We will explore why this could happen in a minute.